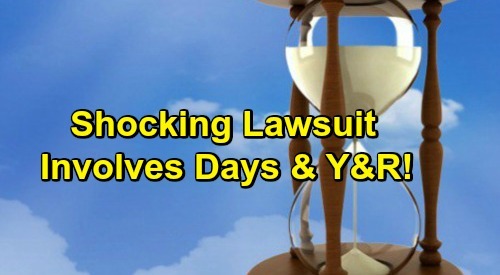 Days of Our Lives (DOOL) spoilers reveal that a major lawsuit is underway which involves The Young and the Restless. It concerns the NBC soap’s treatment by Sony, so this is certainly something DOOL viewers should pay attention to. Anything that could affect the future of Days of Our Lives is worth staying in the loop on! According to Deadline, Corday Productions has fired some fierce accusations at Sony Pictures Television along with its Columbia Pictures and Screen Gems divisions. This lawsuit involves breach of contract as well as a complaint of distribution fraud. If they win, this could result in some huge changes. Of course, Corday Productions is run by Ken Corday. He’s DOOL’s executive producer and the son of the show’s co-creators, Ted and Betty Corday. Corday Productions owns only a small percentage of Days of Our Lives, but they feel like Sony’s been exploiting their control. Basically, Days has been missing out on lucrative international deals that could boost revenue and keep the show afloat. Meanwhile, Y&R’s getting all Sony’s attention and putting Days at an economic disadvantage. A statement by Corday Productions’ legal representation offers more info. Of course, you might be wondering what Corday Productions hopes to get out of this lawsuit. They’re seeking over $20 million in damages and significant control of the show. It’s a gutsy move, but they apparently feel strongly about it. This seems like the kind of thing that could either be a major victory or backfire big time, so everyone should keep an eye on the situation. Days of Our Lives spoilers say the Salem drama will keep heating up in the meantime, so stay tuned. We’ll give you updates as other news comes in. Stick with DOOL and don’t forget to check CDL often for the latest Days of Our Lives spoilers, updates and news.